Hey there sports fans! Imagine watching the big game without a score board. 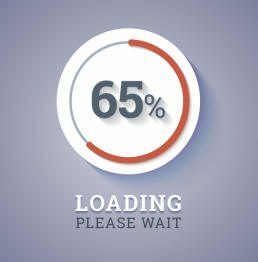 Maybe you can mentally keep track of the score, but how much time is left in the game? What quarter is it? Or, how about taking a road trip with no GPS, no road signs and no speedometer or odometer in your dashboard. Are you feeling a little in the dark? That’s because visual displays literally guide us through life. Sometimes our life depends on visual signals, for example, at active railroad crossings or with heart monitors in the operating room. At other times visual cues to provide information that makes navigating through complex systems more easy such as getting to the right gate at an airport or working through your tax returns using a computer program. HOW CAN VISUAL DISPLAYS HELP AT WORK? But, what about at work? How can visual information make work easier, more effective and more productive? Visual Controls – Controls represent visual techniques that help to do something right or trigger a stop to the process is it is going wrong. Visual Prompts – Prompts are visible alerts or cues about a problem or pending problem. 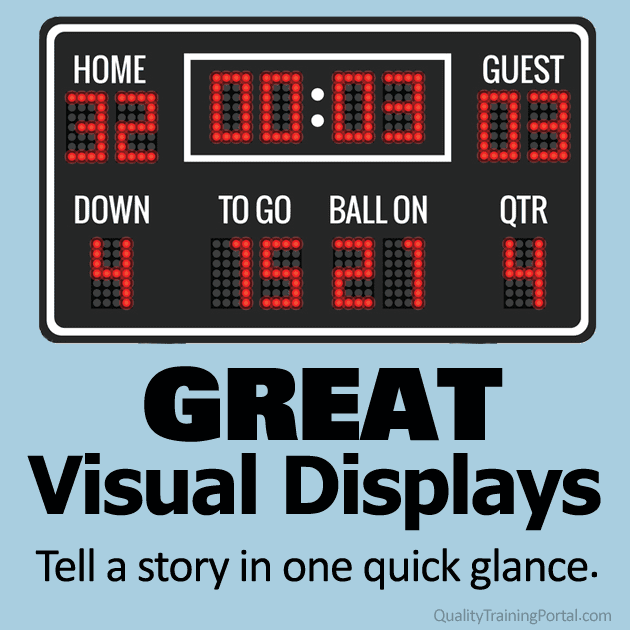 Visual Displays – Displays provide on-going feedback on work status and performance. 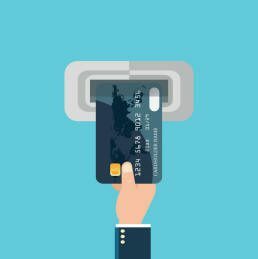 Visual Controls provide a clear visual of how the credit card should be inserted saves time and hassles at the ATM. 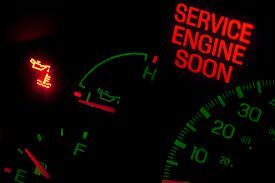 Visual prompts such as the check oil and service engine lights in a car help us keep our cars running. Visual displays on computer screens let us know when something is happening in the background on our computers. Are your learners completing their training? Are your employees logging more miles at work than at the gym?